The most iconic part of a Thanksgiving dinner is the turkey. However, turkey on its own can be a little dry and needs flavor. The answer? Cranberry sauce. Cranberry sauce adds tart, interesting flavor, moist texture, and striking color. These positives are summed up well by culinary connoisseur junior Zach Lewis: “There are three main reasons why I like cranberry sauce: the texture, the taste, and the appeal.” A huge improvement over its bland counterpart, the dull, overdone gravy, cranberry sauce should be on every slice of turkey this Thanksgiving. Despite being considered by many as a thanksgiving must, gravy is not as traditional as cranberry sauce. During the first Thanksgiving, gravy did not make it to the table. However, berries were a major part of the feast, meanwhile cranberries have been harvested by Native Americans long before the pilgrims came. While cranberry sauce is the more traditional topping, the taste alone adds a more modern, new flavor to turkey. While gravy simply highlights and mimics the flavors of the meat, the “sauce” adds its own personal touch of flavor to the dish. 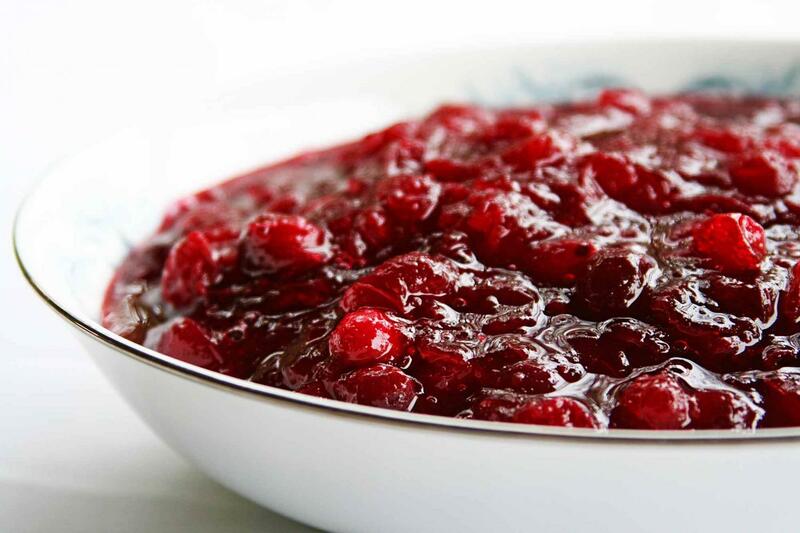 Cranberry sauce is the ideal mix between exciting flavor and traditional charm. Cranberries also add a great touch to the Thanksgiving meal: a burst of color. Amidst the drab gray, brown, and green of turkey, potatoes, green beans, stuffing, cornbread, and, worst of all, gravy, cranberry adds a refreshing splash of color to the Thanksgiving plate. This makes the meal more appealing and draws the eye towards the most important part of the dish: the cranberries. One argument against cranberry sauce is that gravy is more popular. That is true. However, this is more of an argument in favor of cranberry sauce than it is against. While the entire family is fighting over a quickly-diminishing reservoir of gravy (the liquid gravy is also more easily spilled or overpoured than cranberry sauce’s denser texture), the smart cranberry-lover can relax with an ample supply of the superior topping. The traditional aspects in a Thanksgiving feast are the mash potatoes, green bean casserole, and other side dishes, but the main dish most people enjoy the most is the freshly roasted turkey. Unfortunately, most of the time the turkey is very dry and has no flavor…so what goes best with a turkey? Gravy is obviously the most traditional and popular condiment for a Thanksgiving feast. Adding gravy to your meal adds a thick texture of rich and savory goodness poured on top of your favorite Thanksgiving foods. When pouring this condiment, you can practically cover your entire meal with gravy: mashed potatoes, turkey, stuffing, the whole lot of it. “I like gravy because it’s more savory, especially because most of the food for Thanksgiving requires a savory taste,” said senior Cameron Migliaccio, who is a culinary student at school and has taken other outside cooking classes. Some people choose to not eat meat, which means that they have less decisions to fill up their platter. Regardless of their preferences, there is a variety of different types of gravy to satisfy their tastes buds: for vegetarians, there is vegetarian gravy with just cream of mushrooms, flour, cornstarch and other veggies! With meat or no meat, you can enjoy your delicious meal with an adjustment to your gravy. 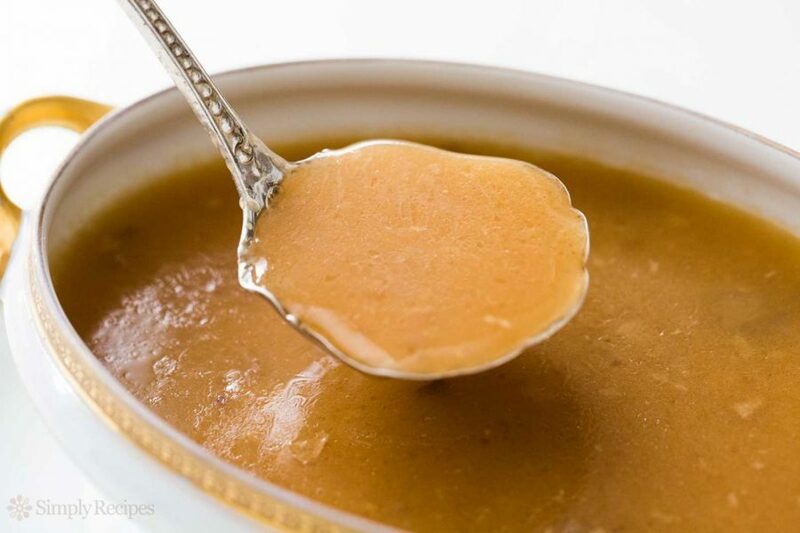 Gravy has also been the most common sauce because it is the easiest sauce to make. Cranberry sauce is difficult to make on your own, forcing you to resort to the canned version on a day that should feature homemade goodness. But with gravy, all you need is leftover turkey drippings, cornstarch, water, and salt and pepper. Stir on a heated surface until the elements come together in a thick gravy, and it only takes 10-15 minutes! Even though cranberry sauce adds a different element to the table, gravy mixes with every single Thanksgiving food there is (besides the desserts). Does cranberry sauce go with everything? Of course not, which is why gravy is one of the most popular items for your Thanksgiving feast.